Atwater Avenue Elementary School was the first elementary school in Atwater Village, founded in September 1922. Today the school is one of 554 LAUSD elementary schools with a student body of around 320 Atwater Village children from kindergarten through sixth grade. Parental involvement is extremely important, as is making sure the school has sufficient funds. Friends of Atwater Elementary is a non-profit group run by parents and neighbors in Atwater Village who are committed to helping the school, and its students through targeted fundraising.Coming up on Saturday, March 24, 2012, the Friends of Atwater Elementary present “Electric Blue”, a celebrity auction and charity fundraising event to raise funds for Atwater Avenue Elementary School’s new technology program. The school’s new computer lab gets kids up to speed with technology and is currently being used successfully with language arts and mathematics programs. 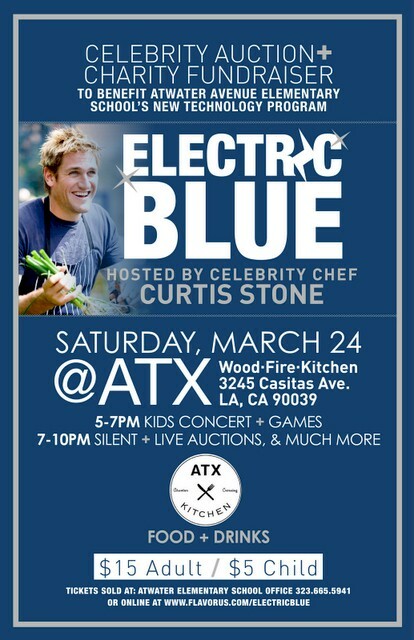 The schools big, upcoming fundraiser, Electric Blue takes place next Saturday from 5-10pm with host celebrity chef, Curtis Stone. There will be food, drink, entertainment, silent and live auctions and general fun for the whole family. 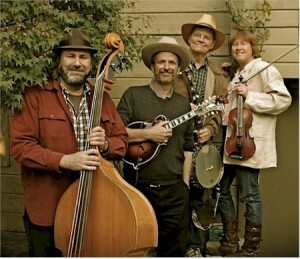 From 5-7, The Hollow Trees folk band will perform a kid’s concert with tap dancing, mandolins, dress-up, mythical creatures and more. There will also be face painting, storytelling, a crafts table and fun times and giveaways with Dave Hester of the reality TV show Storage Wars. From 7-10 pm, Modal Tease plays blue grass and Cameron Daddo from Australia will also be performing.Food from ATX Kitchen will be available throughout the event. Both live and silent auctions take place during these hours. Auction items include Disneyland tickets, Nickelodeon Studio tours, , Kidspace tickets, jewelry, spas, beauty baskets, furniture, music lessons, and the list goes on! If you are unable to attend the event, you can still support the school by bidding on Silent Auction items at 32Auctions.com . There is a small entry donation of $5 for kids and $15 for adults. Tickets are limited and available through 3/23 at the school office or buy Electric Blue tickets online. The festivities take place at Atwater Kitchen at Atwater crossing at 3245 Casitas Avenue in Atwater Village.